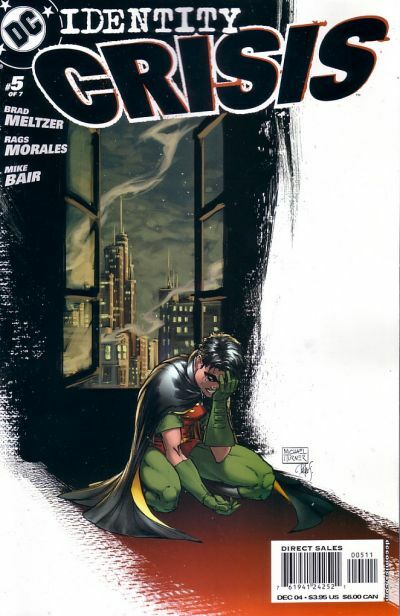 JUNE: Tim Drake steps down as Robin in ROBIN #125. 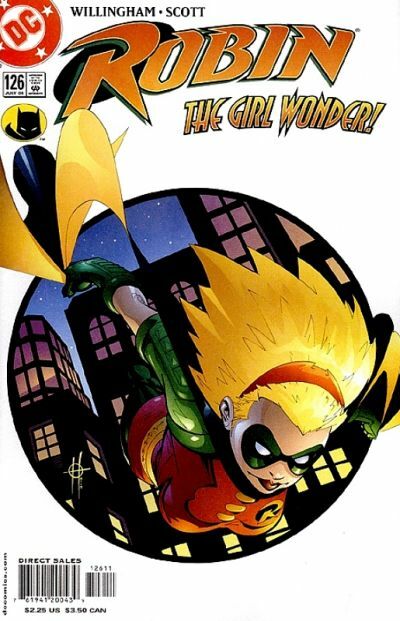 JULY: Former Spoiler Stephanie Brown becomes the first in-continuity female Robin in ROBIN #126. 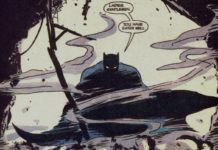 Her tenure as Robin was also the shortest in Batman history – three issues. 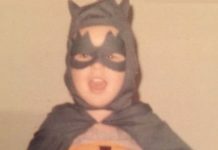 Batman fired her for not following orders in ROBIN #128. 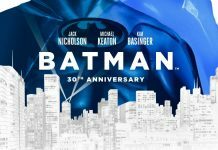 JULY: The long-planned CATWOMAN film finally hits theaters on July 23, 2004. 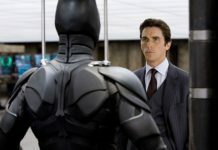 However, star Halle Berry’s Catwoman wasn’t Selina Kyle, she was named Patience Price. 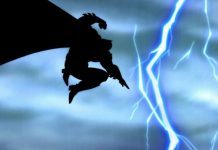 The critical and audience response was tremendously negative and the film flopped. 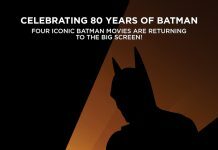 SEPTEMBER: A new Batman animated TV series – THE BATMAN – debuts on September 11, 2004 featuring a younger Bruce Wayne/Batman. 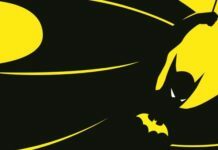 SEPTEMBER: DC Comics pays tribute to former Batman editor – the late Julius Schwartz – in DC COMICS PRESENTS: BATMAN #1. 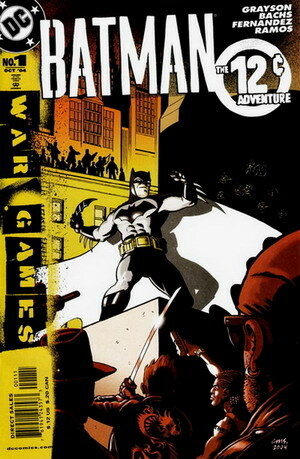 OCTOBER: The 25-issue crossover, “War Games,” begins in BATMAN: THE 12 CENT ADVENTURE #1. 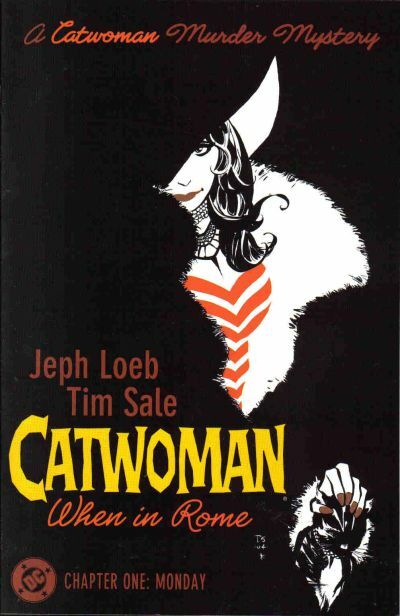 NOVEMBER: The storyline from THE LONG HALLOWEEN and DARK VICTORY continues the 6-issue CATWOMAN: WHEN IN ROME by Jeph Loeb and Tim Sale. 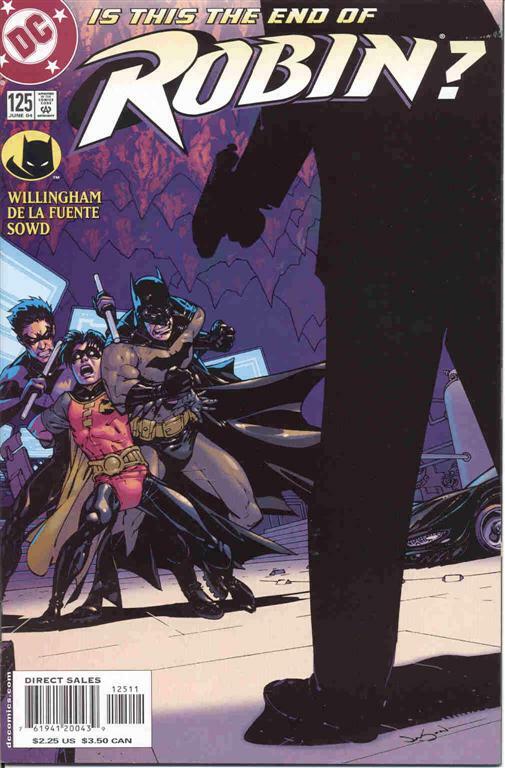 DECEMBER: Tim Drake’s father, Jack Drake, is murdered by Captain Boomerang in IDENTITY CRISIS #5. 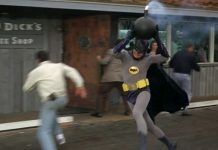 While CATWOMAN was horrible, I actually grew quite fond of THE BATMAN. 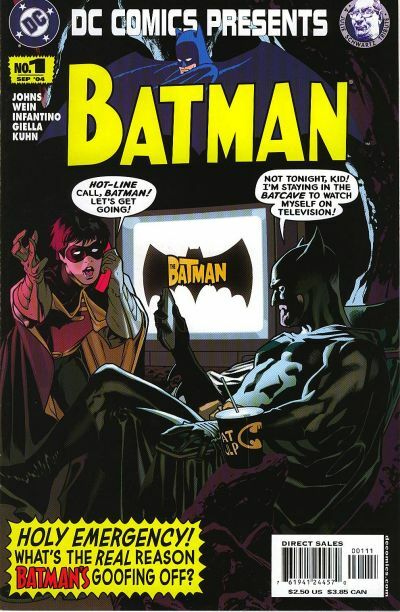 Comics-wise in 2004, I only read CATWOMAN: WHEN IN ROME back then, though I’ve retroactively read most of the stories listed above.